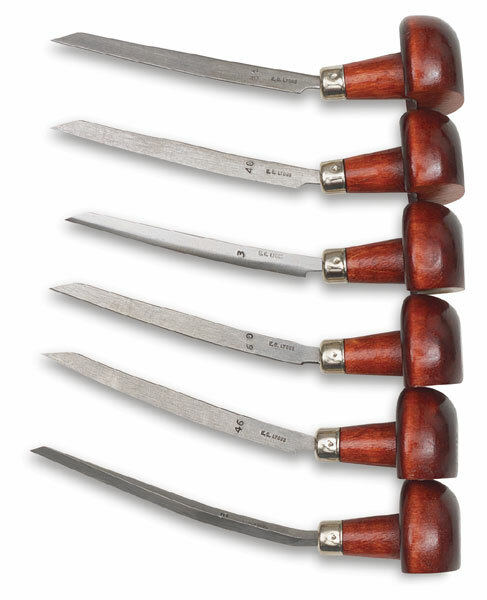 These burins have wooden handles that fit comfortably into the palm of your hand. 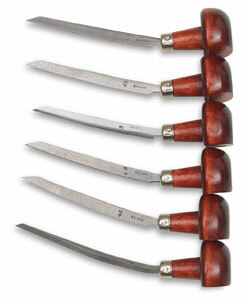 Use them to create woodcuts and metal engravings. Each tempered steel rod has a different end. Burins measure 4¾" long overall.